You’re having a backyard barbecue tomorrow, but mosquitos are not on the guest list. Sure, you could buy those citronella candles in giant metal pails from the grocery store, or you could adorn your patio table with these adorable homemade lemon candles we found on Twine and Table. Here’s how to make ‘em. What you need: Lemons, a knife, a block of organic beeswax, a double boiler, a wooden spoon, wooden wicks and citronella oil. Step 1: Cut each lemon in half and then scoop out the pulp so the peel becomes an empty cup. Step 3: Add one drop of citronella oil per cup of wax, then stir again. 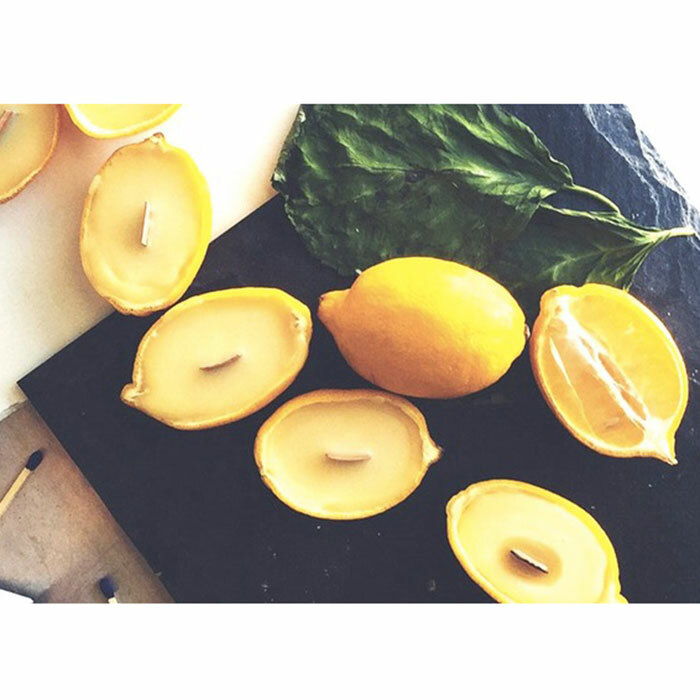 Step 4: Carefully dip the tip of each wick into the melted wax and use it to affix each wick into the center of the lemon cup. Step 5: Carefully pour the rest of the melted beeswax into the lemon peels (with some of the wick still sticking out) and allow your new candles to cool overnight. How it works: Citronella is a natural bug repellent. Lemons are an adorable DIY vessel. So if you burn these babies while you’re hanging out in the backyard, you can have a quaint dinner without any uninvited guests. You: 1; mosquitos: 0.